Hillary Clinton's campaign Thursday announced an enormous cash haul for the month of August, posting her best month yet even as her popularity among voters hit an all-time low. Clinton raised a total of $143 million in August, with $62 million going directly to her Hillary for America campaign's coffers and the rest to the Hillary Victory Fund – the joint fundraising vehicle between the campaign, the Democratic National Committee and 33 state party committees – and the Hillary Action Fund, which raises money for the DNC's headquarter and convention accounts. Together, the three accounts put the Democratic nominee and her party on strong footing to push through the final months of the general election, starting September with $152 million on hand – $68 million in the campaign's coffers and $84 million in party accounts. While her campaign boasted that the cash came in average donations of about $50 each, Clinton also headlined more than 30 big-ticket fundraising events in August, which provided about a third of the month's intake. Clinton stepped back from the campaign trail in August, prompting the Donald Trump campaign to launch a daily "hiding Hillary" meme highlighting her lack of formal press conferences. The GOP nominee also hammered heruse of a private email server and questioned the blurred lines between her influence as secretary of state and the attention she paid to charitable contributors to the Clinton Foundation. In spite of national head-to-head polls showing the race between Clinton and Trump tightening, the money has continued to roll in for Clinton. 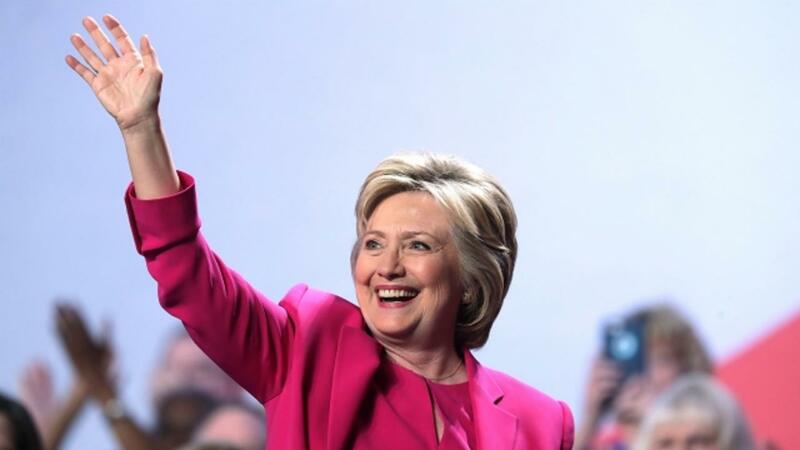 So far, she's raised $413 million since she launched her second presidential bid last April. The healthy war chest has allowed Clinton to drop a deluge of ads on her opponent. According to an analysis by NBC News and Advertising Analytics, Clinton has spent $75 million on ads in the general election, compared to Trump's $7.7 million. Trump has yet to release fundraising figures for August, though his campaign did announce raising $5 million in small-dollar funds just on Wednesday, his best single day of fundraising so far. in July, his tally together with the Republican National Committee was $64 million, well behind Clinton and the Democrats' $90 million.